Constantine finally meets a challenge he can't overcome with his usual seat-of-his-pants strategy. It's amazing that John Constantine hasn't run out of luck more often in his almost 30-year history. His wits, charm, and willingness to play dirty to get the job done is usually enough to pull him through the most difficult of challenges. But the most interesting stories in his stable are those where he finally seems to have reached the end of his rope, and either needs to accept meeting his fate, or sacrifice another piece of his soul to live another day. 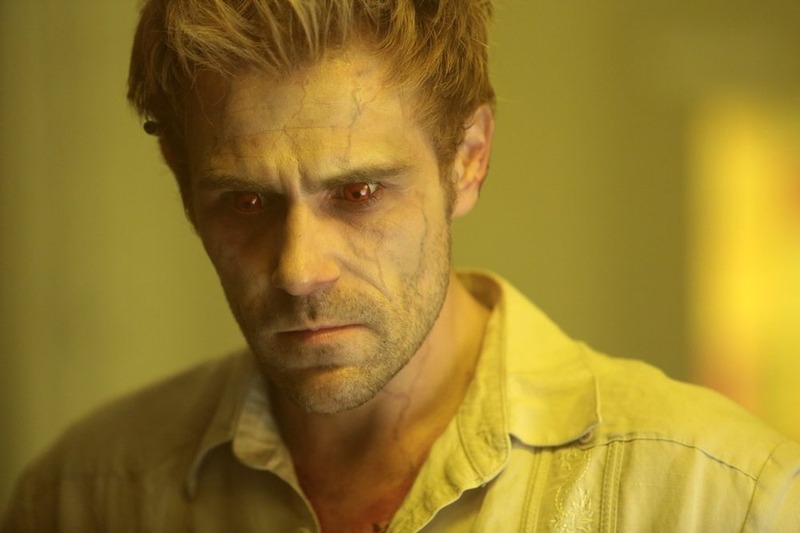 "The Saint of Last Resorts Part 2" is the first of episode of this kind to appear on NBC's Constantine. The cliff he was left hanging off last December really was that deadly, and escape was utterly impossible. For most people anyway, but as with any good Constantine story, John finds a way out in the nick of time. And of course, creates a far worse problem in the process. Want to get caught up on Constantine's adventures before learning the bloody details? You can watch the latest episode on the official Constantine website, on on Hulu, or buy it on Amazon. If you missed our last review - or just need a refresher - read our "Saint of Last Resorts Part 1" review. The last time we saw Constantine, he was in Mexico helping his old girlfriend Anne-Marie track down a kidnapped baby. It turned out Anne-Marie wasn't just Constantine's first love, she was also the girl who introduced him to magic, starting the path that led them both to the Newcastle disaster. 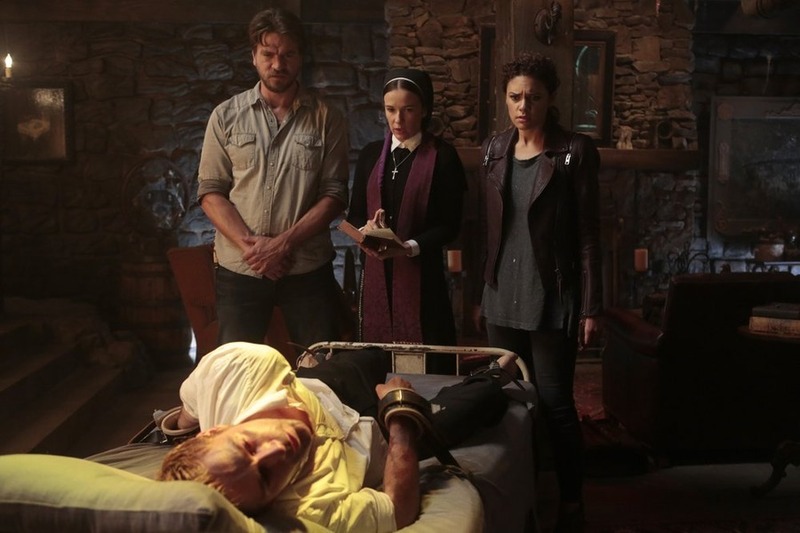 Putting aside their differences, Constantine and Anne-Marie saved the baby, destroyed the creature that kidnapped it, and even figured out the name of the cult directly responsible for the rising darkness that had everyone so worried. But at the moment of victory, another pre-biblical monster emerged from the shadows, threatening to kill them all. In order to save the child, Anne-Marie took a page from Constantine and shot him in the stomach, leaving him behind to die so she could get the baby to safety. As the episode opens, that's where we find him, just about to be eaten alive without appreciating the irony of the situation. And that's where John Constantine has his latest horrible idea: If you can't beat them, join them. 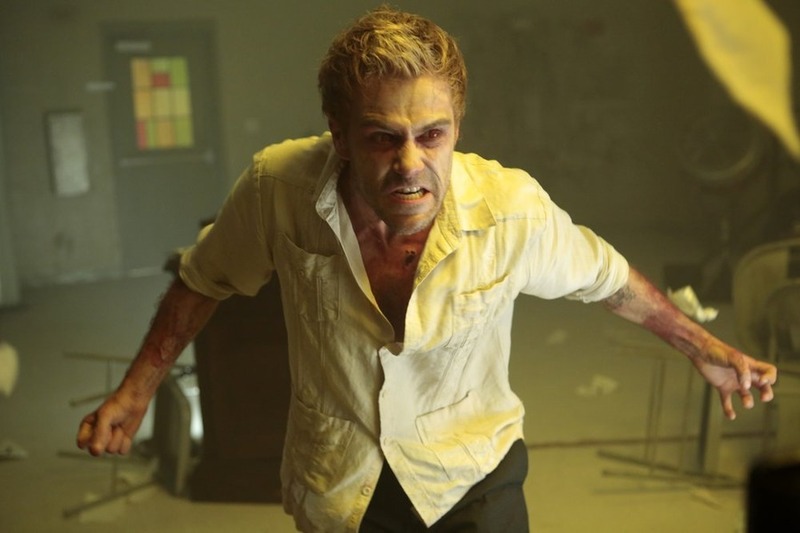 Constantine destroys the protective wards shielding his body from possession and immediately invites a demon inside. And not just any demon, but a demon king, one who presumably makes all the creatures introduced over the past season look like harmless puppies and kittens. The good news is that the demon heals Constantine's wounds and drives the attacking monster away. The bad news? He has about two days to get an exorcism before the demon is strong enough to evict him permanently. And since he turned to demons for help, the angel Manny won't be coming to his rescue. Sounds easy enough when you're already at a Roman Catholic Church, but the demon has no intention of leaving without a fight. Remember that sequence in the pilot where Constantine walks into an alleyway for no reason and starts shooting fire at criminals? Well, we may have an explanation for that: After a brief blackout sequence, Constantine wakes up to see what very much looks like the aftermath of his attack: Bodies are strewn everywhere, his clothes are covered in blood, and the police are rushing in to make an arrest. This demon king is clever - it knows it can win eventually if Constantine can't access his exorcism supplies, so it ensures he'll be sent to a Mexican prison with no chance of escape. Now he's trapped with gangbangers who want him dead for killing their brothers, and a monster eating him up from the inside. When it rains it pours.